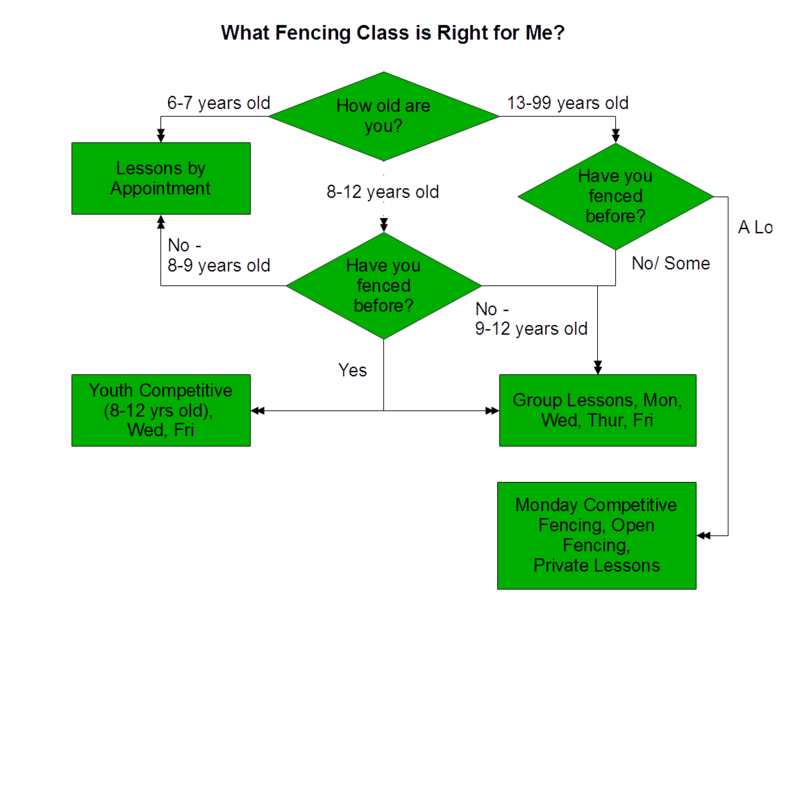 The group class is for brand new fencers and those with fencing experience. The class will introduce the fencer to the basics of fencing. Proper en guarde, footwork, straight attacks and parries will be taught. The classes will cover the basics through verbal instruction, instructor led drills, and exercises designed to enhance speed and reflexes. As you gain experience, you will be introduced to more complex actions and tactics. The fencing instruction will be primarily in foil, though the basics of all weapons will be covered. Classes are taught by Coach Ben Schleis, a USFCA accredited coach. 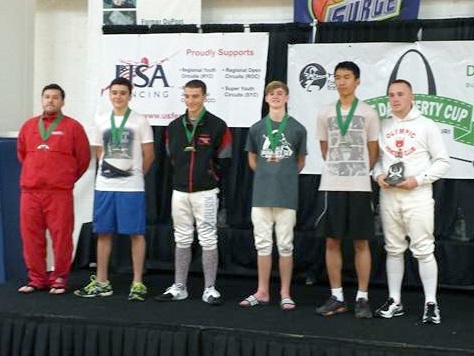 Ben is the 2006 Div 2 Men's Epee National Champion. Group classes are walk-in format and cost $25/class or $150 monthly for unlimited classes (cost is per person). Monthly rates must be paid in full by the first attended class of the month. Wear long pants and sneakers, the use of all other equipment is included. 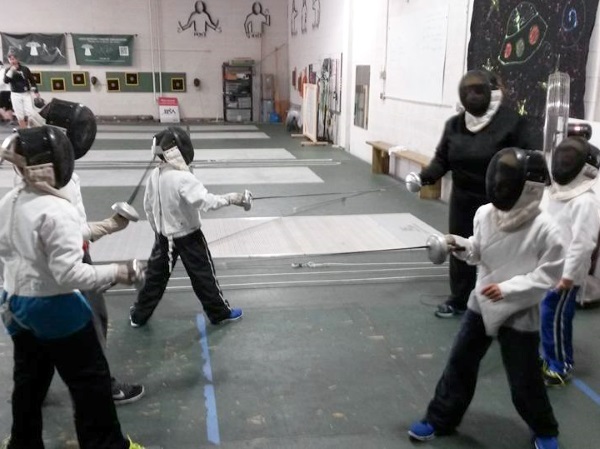 These fencing classes are geared toward kids ages 6 to 10 years old. The kids will learn the basics of fencing and sportsmanship in a less structured environment. Instruction will include illustrated show and tell, basic drills with foils, and bouts between fencers with foam blades. Classes are walk-in format and cost $25/class or $150 monthly for unlimited classes (cost is per person). Monthly rates must be paid in full by the first attended class of the month. Contact Coach Becky at coachbecky@salledetroit.com to set up a time. 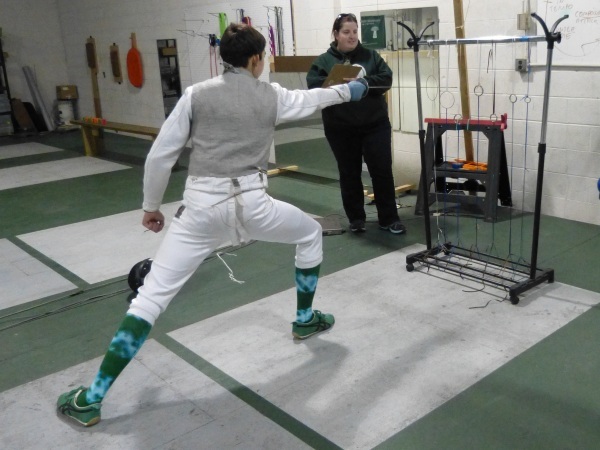 These fencing classes are geared toward kids ages 8 to 12 years old. The kids will learn fencing and sportsmanship. Instruction will include more advanced footwork and bladework, basic drills, and bouts between fencers. Classes are walk-in format and cost $25/class and taught by Coach Rebecca Keeling. Wear light weight long pants and sneakers.